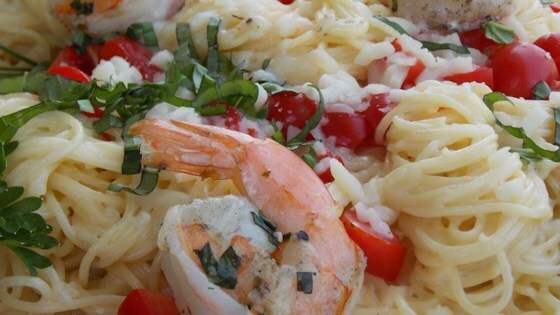 "Grilled shrimp over angel hair pasta with melted mozzarella, basil, and tomatoes in a garlic butter sauce." Liked the taste but felt there was way too much mozzarella as the pasta was sticking to the cheese in clumps. Might try with less mozzarella. YUMMY! I used Dry Sherry Had no wine. Very tasty I was impressed.